A very shady app on my Huawei ? I bought a Huawei honor 6x one year ago, i think that it came from China, or Hong Kong, however it is the global version, not the Chinese one. I noticed an app, always running and impossible to remove named Imonitor, I never installed such app and I was always careful about what I was installing on my phone. 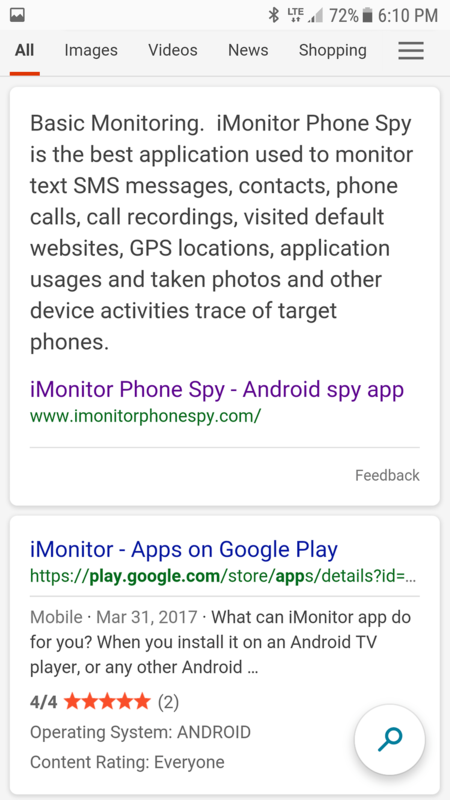 After a quick search on the internet, the principal results for Imonitor are centered towards an app that ... monitors many, many things on your phone such as what you have inside, your locations and stuff. What is this application, why it is here and is it really this monitoring thing app or not ? Root your phone and remove that app. And if you purchased anything on line using a credit card! Change your account number! That app is probably monitoring everything you do with that device so they can steel your financial identity. I have never heard of that an APP named with imonitor. Would you like to post a screenshot of the app? Hi Lindsay, I don't know how I can "root" my phone. You can do a Google search just by putting I monitor app and you will see the first results. But I can send you a screen yes. Some people complained about it online but no serious answer or statement were made. First go to Google play store. Find a suitable re-root app. And install it. Then back up all your apps on a external hard drive. Just in case the app you remove causes problems. That way you can always re-install it. The re-root program will walk you through the process. That will explain the process. It's really not difficult. You can remove any app you want to. Any other opinion about this thing ? Just what I said before. It sounds like a spy app that a communist government would put in phones to keep track of their citizens. At least that's what my gut instincts are telling me! Now that you have rooted that imonitor app, take that external hard drive that you used to back up the apps in your phone and either erase it or destroy it. And if by chance you used your home PC or Laptop to back up your phone apps, restart those devices to a earlier date! Then you will be rid of that app for good! That app is also in Google play store. But Google has a different description than this website!